Drag and drop to create brand-compliant lightboxes, widgets, quizzes, and progressive forms. Segment lists and score your leads with custom fields, opt-in checkboxes, and fields with drop-down values. Start from one of our proven, high-converting themes and customize it to make it your own. Trigger conditions and targeting options allow you to fine-tune when and where your forms and widgets are displayed. Our dynamic content editor gives you the power to display dynamic content, without writing a line of code. Pull from URL parameters, URLs, and jQuery selectors and dynamically display images, text, HTML, and more. "We have had great success with the Digioh app. It is very easy to use, and the lightboxes we've built using Digioh can be customized in a seemingly endless variety of ways (i.e., based on URL, geo-targeting, source, date, UTM code, etc.)..." We integrate with over 400 ESPs, CRMs, marketing automation tools, and website builders. Pass unlimited custom fields between Digioh and your other tools with ease. Need a custom integration? We'll set it up for you! Custom JS gives you full control over your lightboxes and widgets. 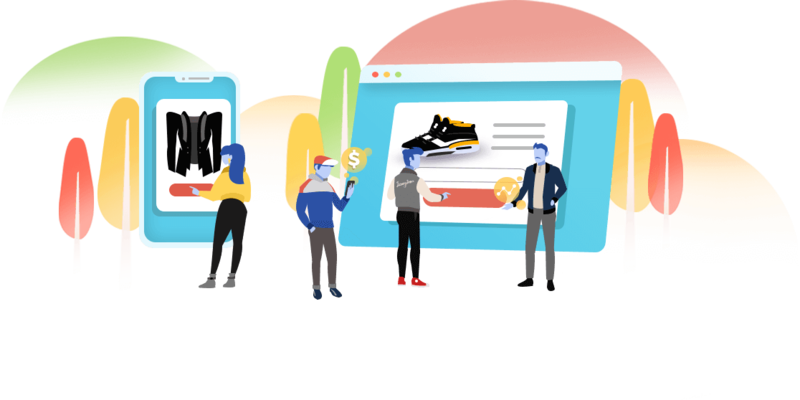 Add conversion tracking to any widget, show "Free Shipping" based on cart values, set up cookie-based targeting, generate custom URLs after submission, and more! Launch experiments quickly and test your way to success with A/B and multivariate tests. Track your results in our visually-appealing analytics dashboard. 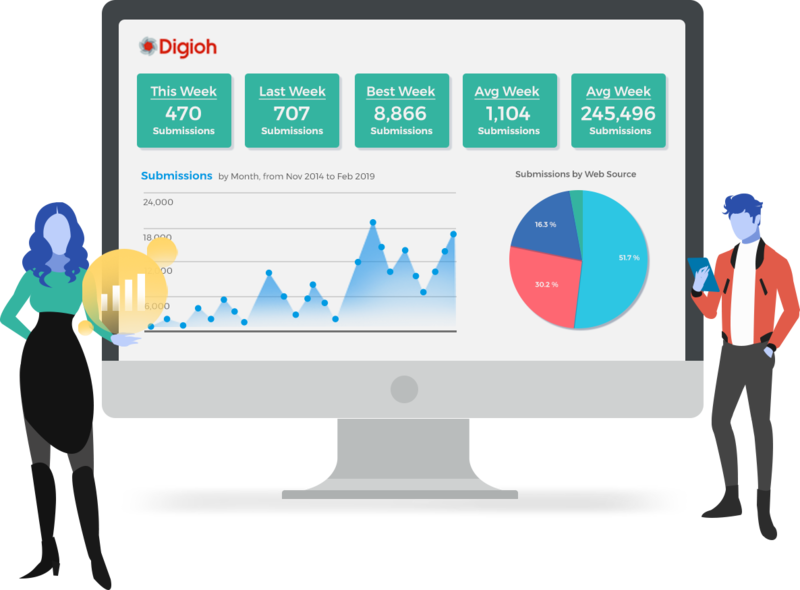 "I've installed Digioh at multiple companies and have seen an increase in lead capture performance - mostly brought out by the ease in which I can launch targeted and relevant lead campaigns. I can also easily test campaigns and quickly gather data and make optimizations." Digioh is designed for marketers who want to launch campaigns quickly. Pick a theme, add in your content, and drag and drop to make it your own. 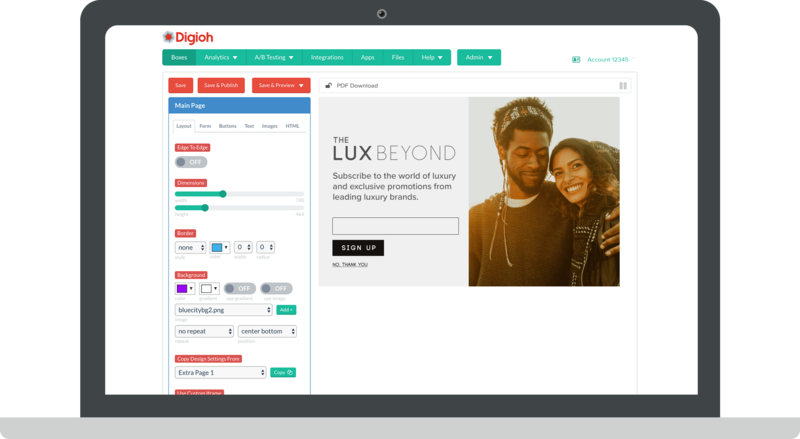 Our design, personalization, and targeting options give you the flexibility to create almost any type of on-site widget. With our on-boarding training, you'll get up to speed quickly. Have questions or need a custom script? We're just an email or phone call away. Want a custom, brand compliant lightbox designed for you? We'll create one and add it straight into your account. On average, our clients 2x their email sign-ups in 7 days. 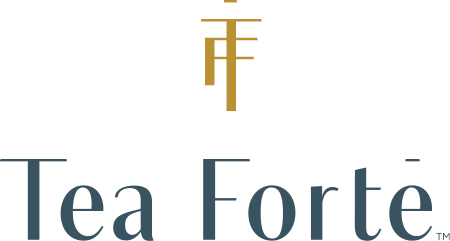 With A/B and multivariate testing, we make it simple to track and improve your campaigns. We integrate with 400+ ESPs, CRMs, marketing automation tools and more. Have a tool that's not integrated? 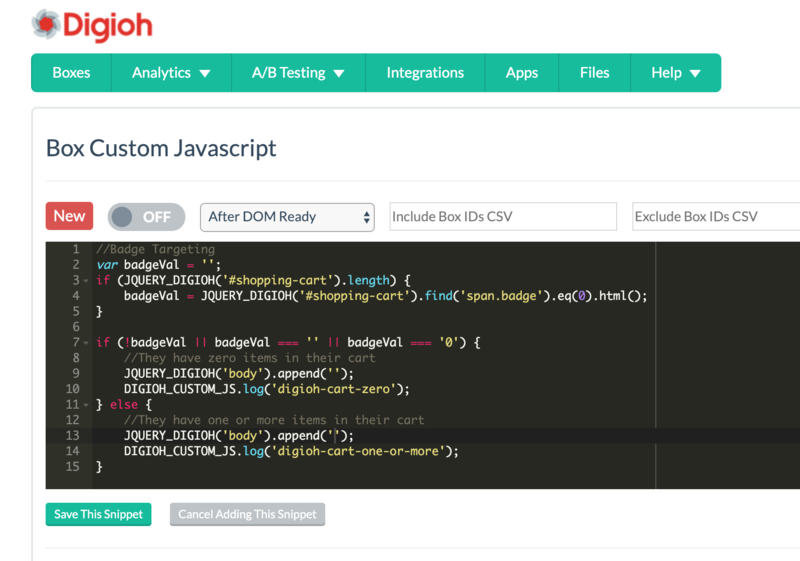 We'll set up a custom integration for you. 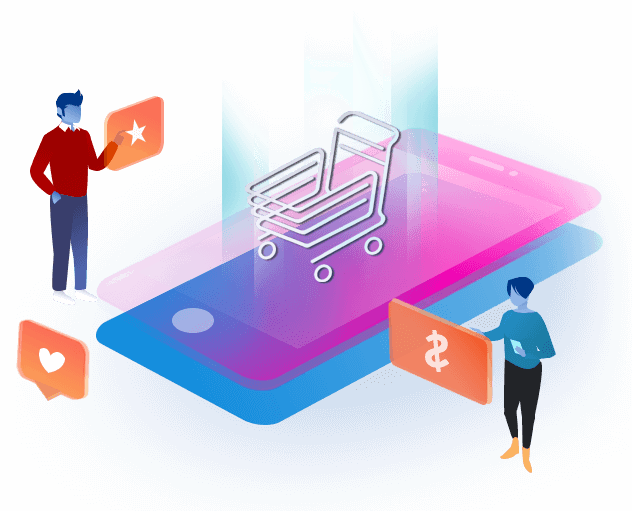 Digioh’s eCommerce tools use the power of personalization to collect more emails, get more customers, and earn more sales for your online store. 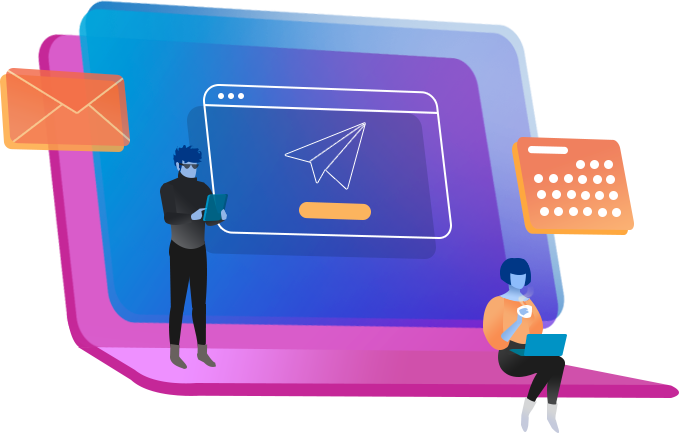 Digioh’s publisher tools address some of the most pressing lead generation and monetization challenges that publishers face. 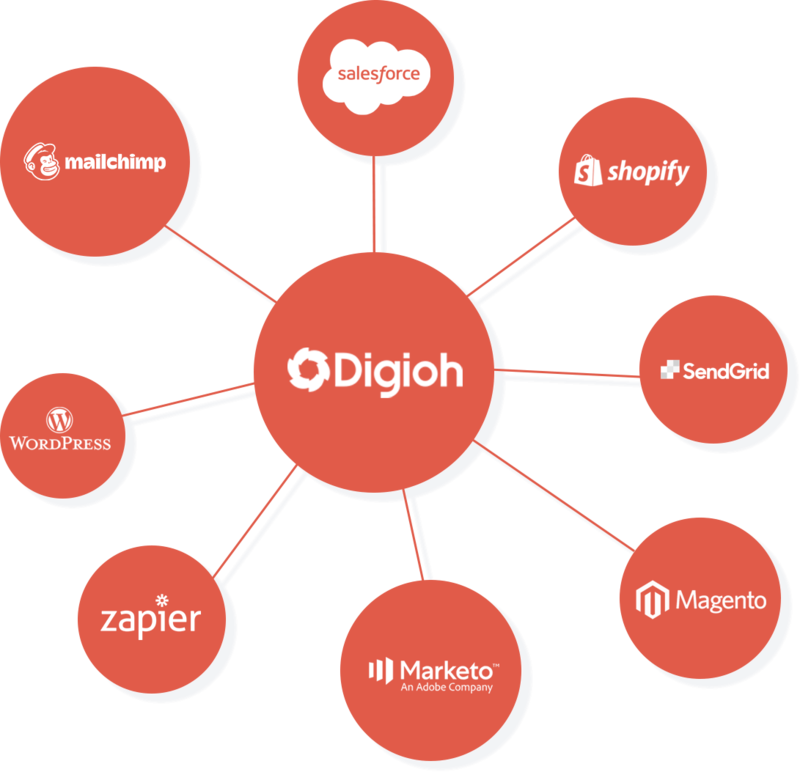 See how Digioh customers get more clicks, leads, and sales.